What would Christmas be without a touch of decoration? Those little ornate finishing touches that bring your Christmas tree and even your home to life. 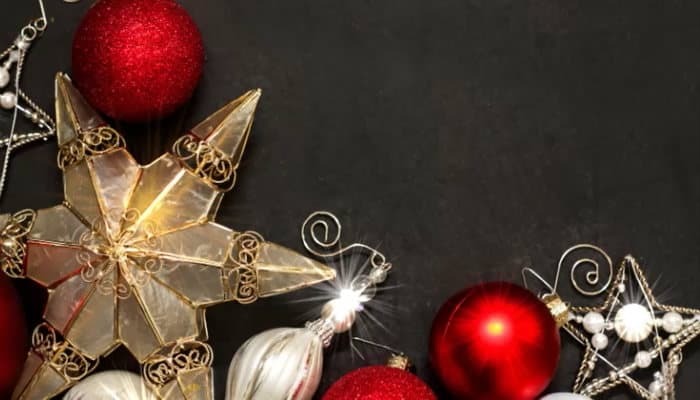 By creating our Christmas Decorations Christmas ecards for business we have made a great option within our range of electronic holiday cards for business that has everything that we love about the festive period. Our Decorations ecards are a simple design that is perfect to send around for your corporate holiday communication. Featuring a collection of different coloured ornaments, we think that this card can really give you a vision of that beautiful crisp green tree adorned with Christmas ornaments. We also have thought about the finer details of sending out holiday ecards for business to your contacts and clients, which is why we have added the facility to amend and add text as you wish. With multiple pages across the card, you can find the right space to say exactly what you want to your customers. You can even add your logo to the ecards too, keeping your company brand at the forefront of their minds. All this comes together to create the perfect corporate card, a mixture of festive good will and perfect marketing that allows you to best communicate to your customers during the festive period.